Wildflower Hills is built on 56 acres of beautiful rolling countryside located in the breathtaking Cohocton valley, of the Southern Finger Lakes Region. Conveniently located off of Route 54, between the City of Bath and the Village of Hammondsport, and ~1 hour south of Rochester. Medical services, area shopping, wineries, golf, Keuka Lake and and other amenities are just a short drive away. Our homes are built on spacious home sites and includes amenities such as: Deluxe energy efficient ranch homes with full attached garages.Ground level home installation with full sub- grade concrete foundations and block walls that create a single step entry with handicap options available. Our community amenities include lawn care, trash removal, and snow removal. Our community center is freely accessible to our residents and includes a full kitchen, fitness room, library, and on site hair salon. Our residents all care for and look out for each other, and attend monthly coffee hour at the community center to gather and plan upcoming social events. Join our active adult community and build lasting friendships. At Wildflower Hills we are a small pet friendly community. At Wildflower Hills we have our own on site Beauty Salon expert. Join our bone builders class that occurs twice a week in our community center. Bone Builders is an exercise class for people with or at risk for osteoporosis. Participants learn about osteoporosis and everyday activities that will improve their day-to-day lives. Our friendly maintenance team is there to care for your lawn and snow removal, which will provide you with more time to do the things you really want to do. 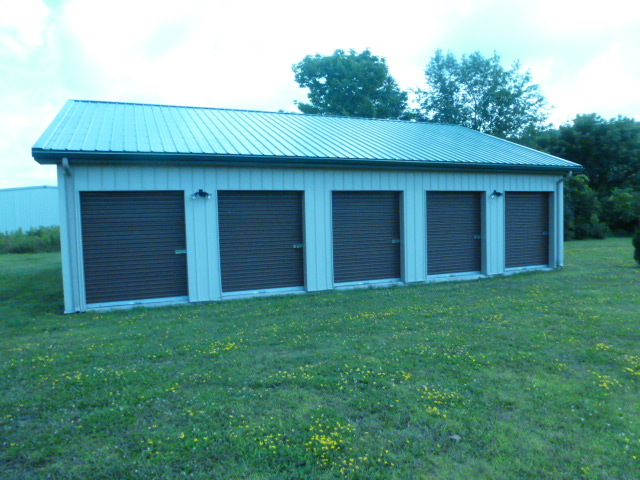 On site mini storage is also available for our residents for a nominal monthly charge.